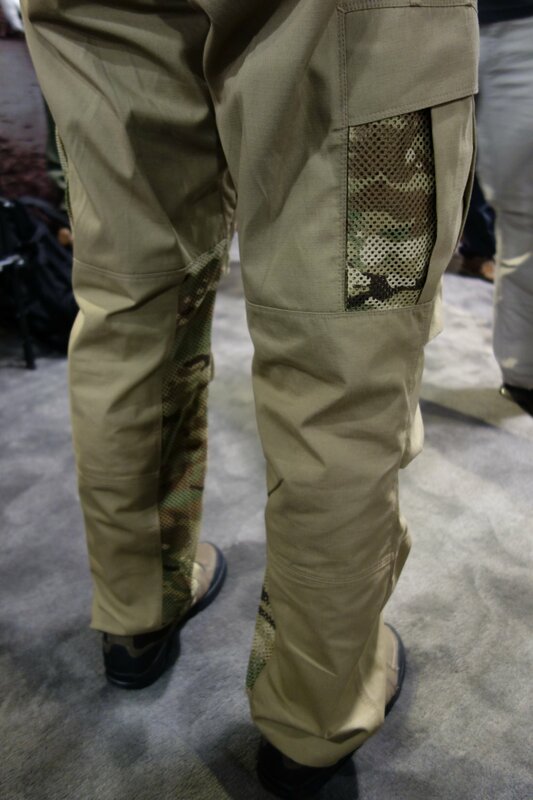 Vertx Airflow Phantom Ops Pant by Fighter Design: Combat/Tactical Pants with Passive Cooling Mesh Technology (Video!) | DefenseReview.com (DR): An online tactical technology and military defense technology magazine with particular focus on the latest and greatest tactical firearms news (tactical gun news), tactical gear news and tactical shooting news. 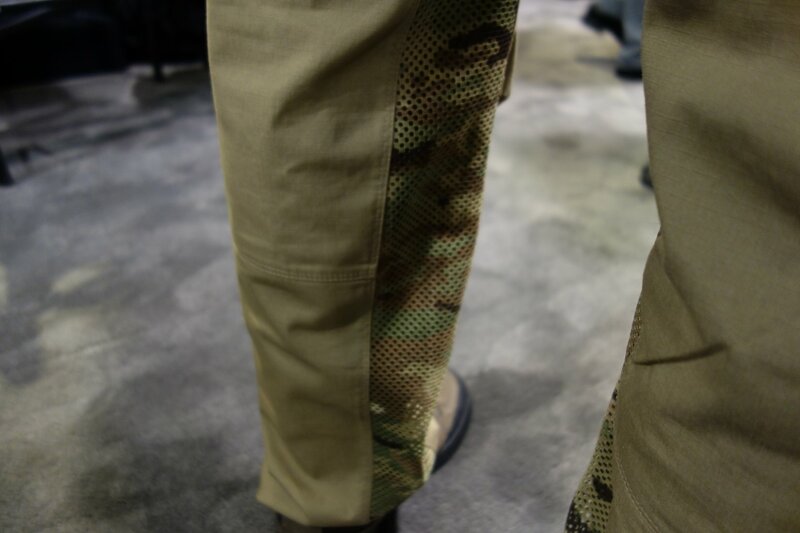 On the second (exhibition) day of SHOT Show 2014, DefenseReview (DR) ran into our good friend Adam Slank of Fighter Design at the Vertx booth, and he was nice enough to take us through the very interesting Vertx Airflow Phantom Ops Pant, which is a combat/tactical pant with passive cooling mesh vents sewn into it. The Airflow intake vents are on the outside of the upper thigh (both legs), while the Airlow exhaust vents run all the way up the inside of both legs. The pair of Vertx Airflow Phantom Ops Pants Slank showed us were O.D. Green with Crye Precision MultiCam combat camo (camouflage) pattern Airflow panels (see video below), but you can see the Desert Tan version in the accompanying photos. Slank calls the Airflow mesh’s passive cooling method “evaporative cooling”, and claims that it makes the pants feel physically cooler than shorts. Hm. 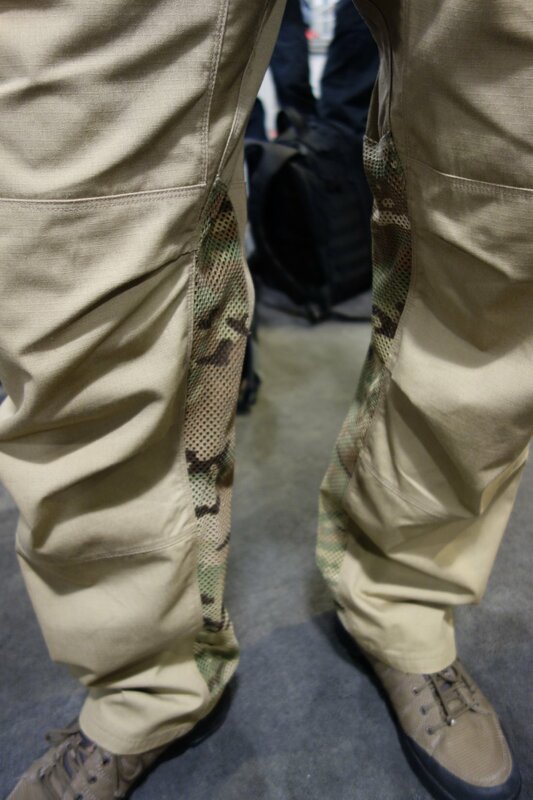 Whether or not that’s true, the Phantom Ops Airflow pants are certainly going to be cooler than standard tactical pants or cargo pants, and a real breath of fresh air, literally, on hot days at the range or at work. The Vertx Phantom Ops Airflow Pant is actually a joint project between Fighter Design, Arc’teryx and Vertx. Vertx is the tactical brand of Fechheimer, a Berkshire Hathaway-owned company. Fighter Design designed and developed the cool part, the Airflow passive cooling panel aspect. It’s DR’s understanding at present that Arcteryx assisted the Fighter Design and Vertx teams to integrate the Airflow aspect into the pant and design the pant itself, and Vertx manufactures the pant. That’s how we think it all fits together, but we’ll make some calls to confirm this and update this article accordingly. Getting back to the pant, though, we should note that according to Slank, there’s no rubbing or chafing from the Airflow panels. Everything stays nice and comfy in terms of skin-to-material-contact. What’s the secret to the Airflow’s effectiveness? “The skin is such an amazing thing. If you give it just a little bit of air flow, evaporative cooling does its job,” says Slank. So, with Airflow passive cooling technology, problem solved. 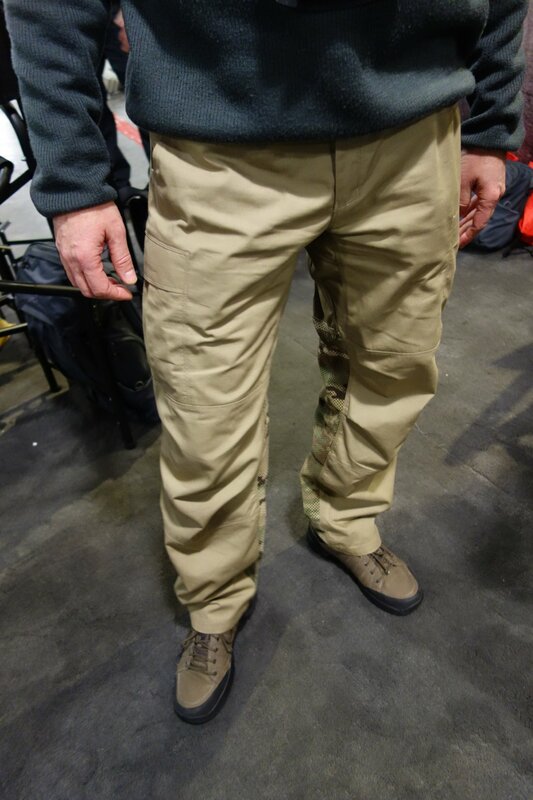 Slank told Defense Review that the Phantom Ops Airflow pants represent “amazing quality, [and are] a great pair of pants loaded with great features and [with] amazing fit.” Sounds good to us. Now, we just have to get ahold of a pair or two, run them at the range and around town, and report back, but we’d be very surprised if the pants don’t work exactly as advertised, considering all the companies involved. 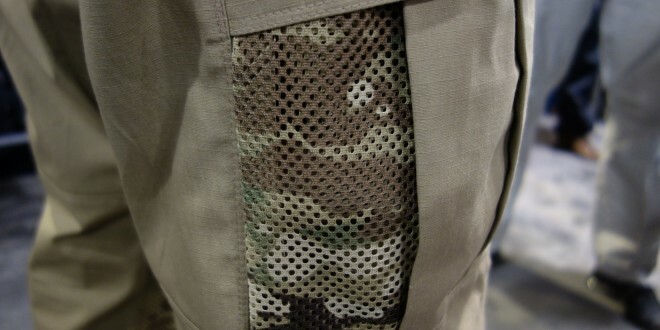 On an aesthetic note, the MultiCam Airflow mesh panels look good and really complement the look of the pant. They give new (double) meaning to the term “cool factor”. If you’d like to acquire your own pair, they’ll be available in April (2014), but you can pre-order yours right now. “The COOLEST Pants You’ll Ever Wear! We’re serious – these pants keep you cool on the hottest of days. Vertx® has partnered with Fighter Design to add their Active Airflow System™ technology to our world-class Phantom OPS pant. The result is an amazing pair of pants that not only fit perfectly but keep you cool when the temperatures rise. 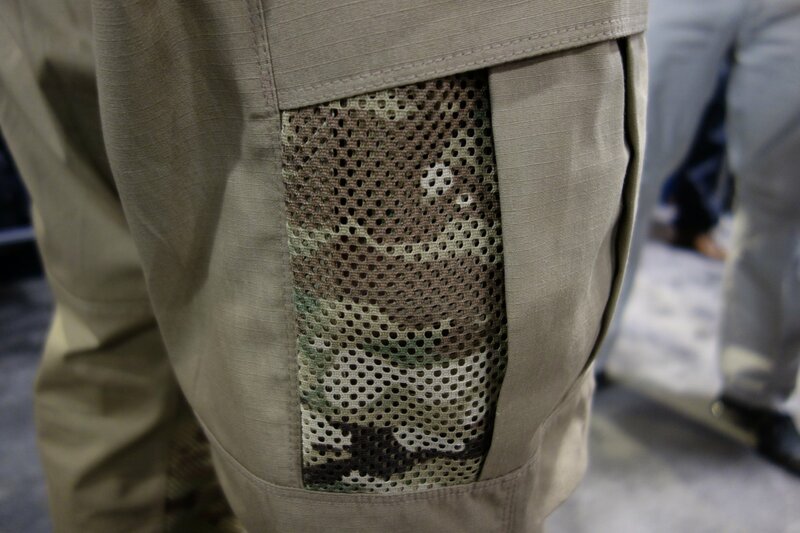 Experience the Vertx® Phantom OPS Powered by Airflow™ pant and feel the difference! Previous: Pentagon Seeks Maneuverable Scramjet-Powered Ultrahigh Speed Strike Vehicle/Hypersonic UAS (Unmanned Aircraft/Aerial System): Meet the Latest Air Power Race!